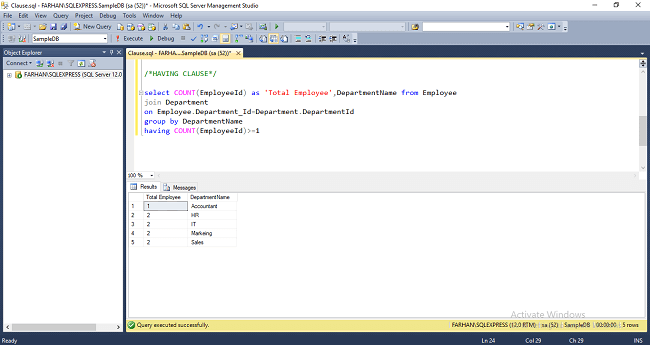 In this blog, we are going to learn about clauses in SQL Server. Clauses are used with table expressions and help in finding the result. 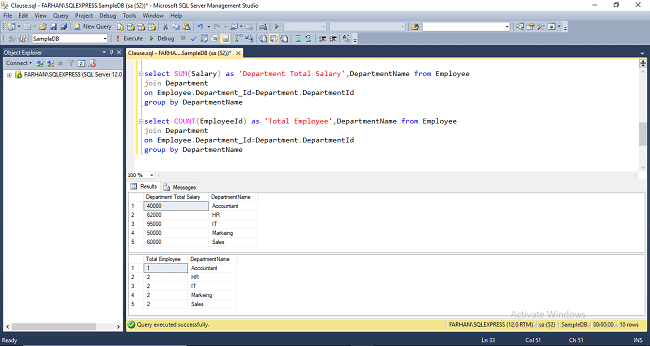 In this blog, we will see the most popular concept in SQL Server, i.e., Clauses. Clauses are used with table expressions to help find the exact results. A clause can be used with joins. Let's see this with an example. 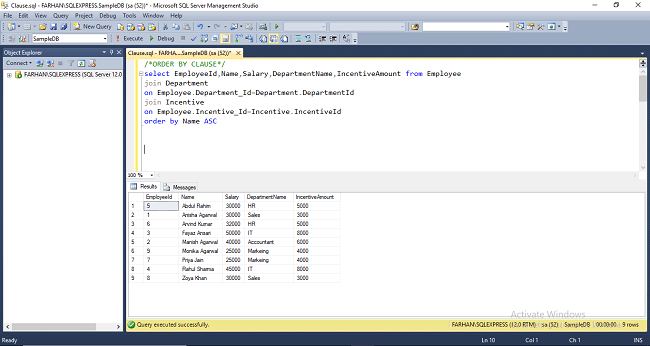 Open SQL Server 2014 and create three tables as below. Insert the values in tables, like I have done using the following queries. This clause is used to define the condition to extract and display only those records which fulfill the given condition. It is used with a SELECT statement to group the results of the executed query using the value specified in it. 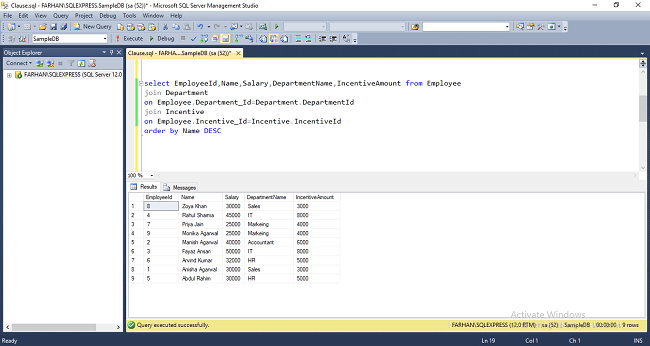 It matches the value with the column name in tables and groups the end result accordingly. This clause is used in association with the GROUP BY clause. It is applied to each group of results or the entire result as a single group and it is much similar to a WHERE clause. The only difference is that you cannot use it without GROUP BY clause. This clause is used to define the order of the query output either in ascending (ASC) or in descending (DESC) order. Ascending (ASC) is the default one but descending (DESC) is set explicitly.